Join Salesforce Small Business Experts and learn how you can sell faster, make customers happier, and scale as you grow with Salesforce Essentials – the world's #1 CRM reimagined for small businesses. Our experts will work with you and your team to solve your business challenges, provide more information about our solutions, answer your questions, and enable you to get the most out of a Customer Relationship Management tool. from 1:30 - 2pm where we will be better able to assist you. Please join Salesforce and a small group of your executive peers for dinner at Andina on Tuesday, December 6th. Salesforce leadership will host a discussion around the latest advancements in cloud and data science technologies and how they can drive even more customer success and top-line growth. The CRM built for small businesses. Salesforce Essentials is a new out-of-the-box solution built specifically for small businesses. It delivers easy-to-use sales and service apps so that you can put customers at the center of everything you do. Get up and running in minutes with faster sales and smarter support for just $25 per user per month. Please join Salesforce and a small group of your executive peers for a fun evening of networking featuring a private, expert guided shopping experience at Under Armour. Don't miss this opportunity to connect with Salesforce hosts and local business leaders from various industries. We hope you can join us! Salesforce is the leading provider of tools to help small businesses find customers, win their businesses, and keep them happy.  We make it easy to connect everything you use to power your company, to build closer relationships with customers and to grow your business faster than ever. Learn more about our solutions for small and medium businesses at salesforce.com/smb, or follow us on Twitter @SalesforceSMB and join the conversation with #SalesforceGROW. 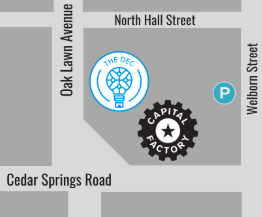 Capital Factory + The DEC is located at the corner of Oak Lawn Avenue and Cedar Springs Road. This workshop will take place in Capital Factory's Minecraft Room. Please follow signs to "Salesforce Essentials Workshop" upon arrival. Parking is available in the same building. For quickest access to visitor parking, please use the parking entrance located on Welborn Street. Once parked, proceed to the elevators closest to Oak Lawn Ave and select Floor 1. Or, take Lyft. You'll receive a $10 credit to ride Lyft when you register for the event. Founded in 2003, Andina has emerged as one of the region’s leading Peruvian restaurants and continues to generate wide appeal within the food communities in and around Portland, as well as further afield. Andina draws inspiration from the native culinary traditions of Peru, as well as from the contemporary cooking of Peru’s leading chefs. Owner Doris Rodriguez de Platt collaborates with Andina’s kitchen team to develop a menu that celebrates her family’s Andean roots, interweaving the ideas and techniques of both Criollo and Novo-Andean cuisines. Register now to save your spot in our Salesforce Essentials Workshop on Jan. 17th! Sign up to attend this event below.